Recently purchased by the Peugeot-Citroen Group (PSA) from General Motors, German automaker Opel unveiled the new Grandland X crossover at the 2017 Frankfurt Motor Show. 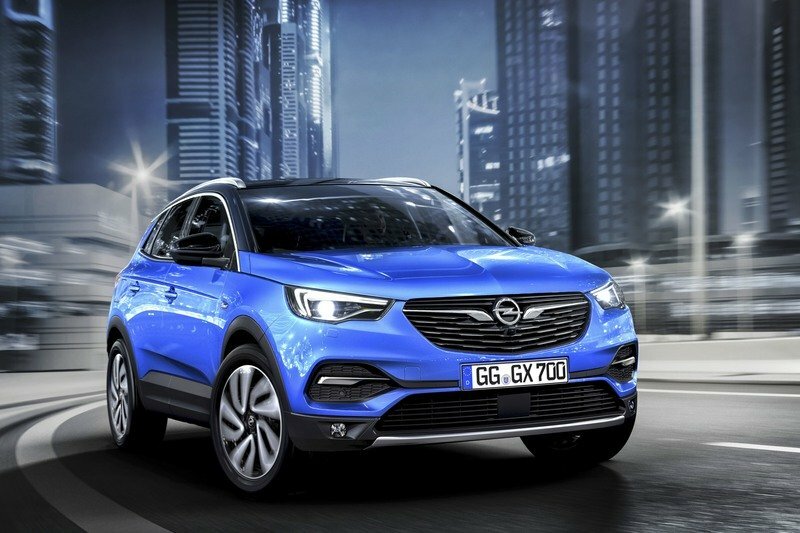 Bu,t while adding a third SUV to the lineup is big news for Opel, the Grandland X isn’t exactly breaking news material, as the vehicle was previewed back in April. 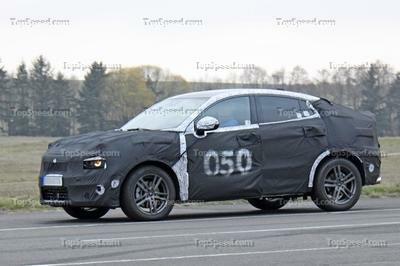 However, there’s big news in the fact that this SUV will get a hybrid drivetrain. And the important thing here is that the Grandland X will be the company’s very first plug-in hybrid vehicle. Now that’s something to get excited about. 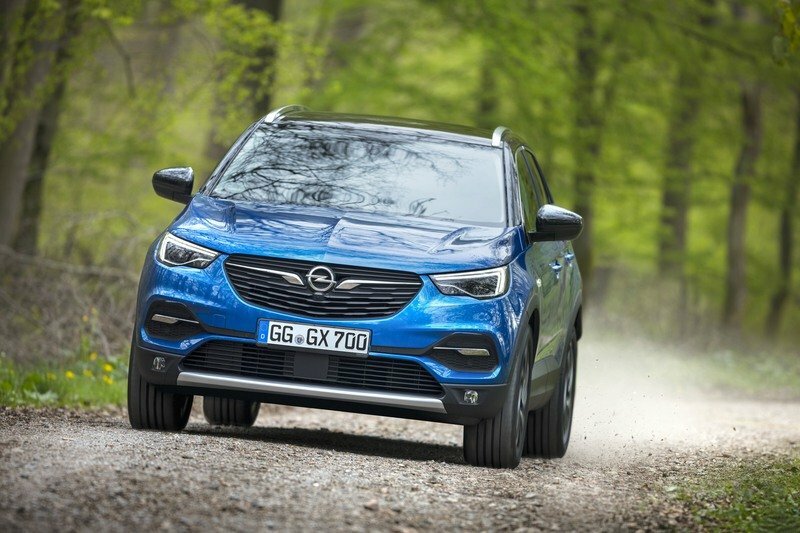 As a refresher, the Grandland X joins Opel’s still somewhat limited crossover lineup, which only includes the Crossland X and the popular Mokka X. Nearly eight inches longer than the Crossland X, the Grandland X is built around PSA’s EMP2 platform, shared with vehicles like the Citroen C5 Aircross, Peugeot 3008, 4008, and 5008. Actually, the Grandland X shares most of its underpinnings with the Peugeot 3008, which was updated from a minivan-like vehicle into a full-fledged crossover in 2016. The only thing we don’t know yet is when the hybrid Grandland X will hit the market. The Grandland X’s looks are rather familiar, sporting much of the Opel’s current design language. Although this SUV isn’t coming to the U.S., it wouldn’t look strange on American roads since many other Opels have crossed the pond with Buick badges. The interior is simple but modern. The layout is based on the latest Astra hatchback and comes with a nice, premium feel. The large infotainment screen is surrounded by A/C vents and a few controls, while the center console is uncluttered, giving a sense of roominess. There’s plenty of tech to talk about, including a large portfolio of assistance systems. Highlights include Forward Collision Warning with Automatic Emergency Braking and pedestrian detection, Driver Drowsiness Alert, Advanced Park Assist, and the 360° Camera. The optional Adaptive Cruise Control function maintains the speed and selected distance to the vehicle ahead and brakes to a full stop or accelerates when needed. Speaking of acceleration, the Grandland X will be launched with two engines. First up is a turbocharged, 1.2-liter four-cylinder that cranks out 130 horsepower and 230 Nm (170 pound-feet) of torque. The second unit is a 1.6-liter turbodiesel that delivers 120 horses and 300 Nm (221 pound-feet) of twist. Consumption is rated at up to 6.4 and four liters per 100 km, respectively. Opel said that the drivetrain lineup will expand after launch, confirming that the crossover will get a more powerful diesel, an eight-speed automatic transmission, and a plug-in hybrid powertrain. There’s no information as to what configuration will Opel drop in the SUV, but it’s safe to assume it will be a gasoline-electric combo. Either way, the Grandland X will become the first production Opel to use a hybrid drivetrain. Modern, dynamic lines, a cool off-road look and the elevated seating position with good all-round visibility typical of an SUV, along with a host of top technologies as well as plenty of space and comfort for up to five adventurous passengers – this is the new Opel Grandland X, which is currently celebrating its world premiere at the International Motor Show in Frankfurt. 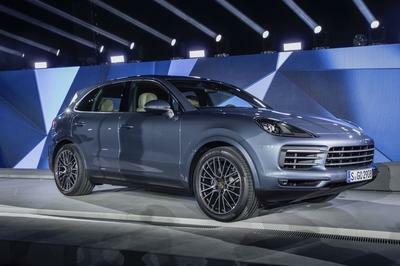 The newcomer is a true contender in the booming SUV segment. In the compact class alone, the SUV share has increased from seven percent in 2010 to nearly 20 percent today. Ideally equipped, the new Grandland X comes to market as the third member of the Opel X family. It joins its Opel Crossland X and bestseller Opel Mokka X siblings, which both are some 20 centimeters shorter in length. 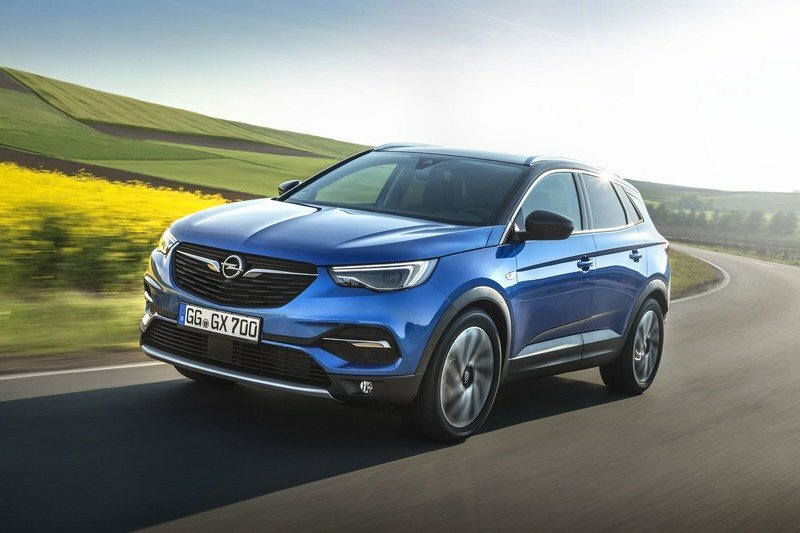 At the same time, the Grandland X expands the extensive Opel portfolio in the very popular compact car segment from Astra to Zafira. All this comes at an extremely attractive price-performance ratio. 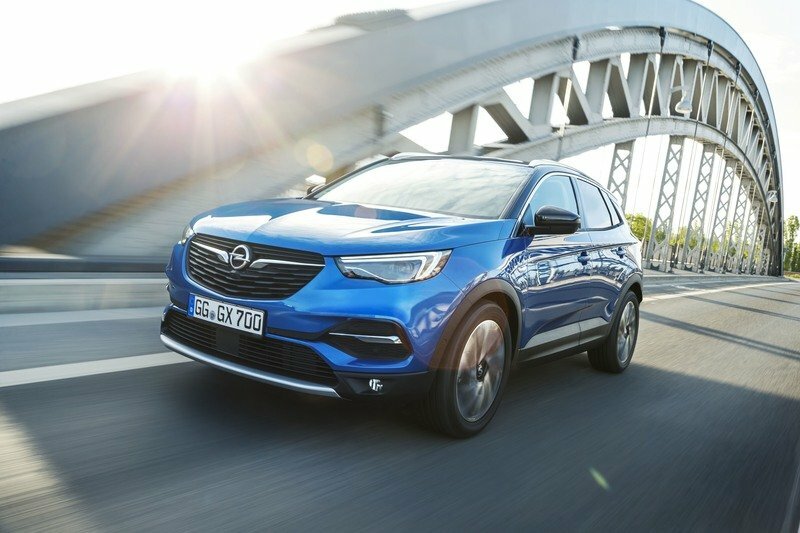 The new Opel Grandland X will be at dealerships shortly with prices starting at €23,700 (RRP incl. VAT in Germany). It already comes with numerous features on board as standard. These include LED daytime running lights, LED taillights, the camera-based Lane Departure Warning, Speed Sign Recognition, intelligent Cruise Control, Hill Start Assist, Radio R 4.0 with Bluetooth hands-free phone capability, air conditioning with particulate and odor filter, comfort seats with numerous adjustment possibilities and a 40:60 split foldable rear seat back. Opel OnStar is already standard from the Edition trim level. 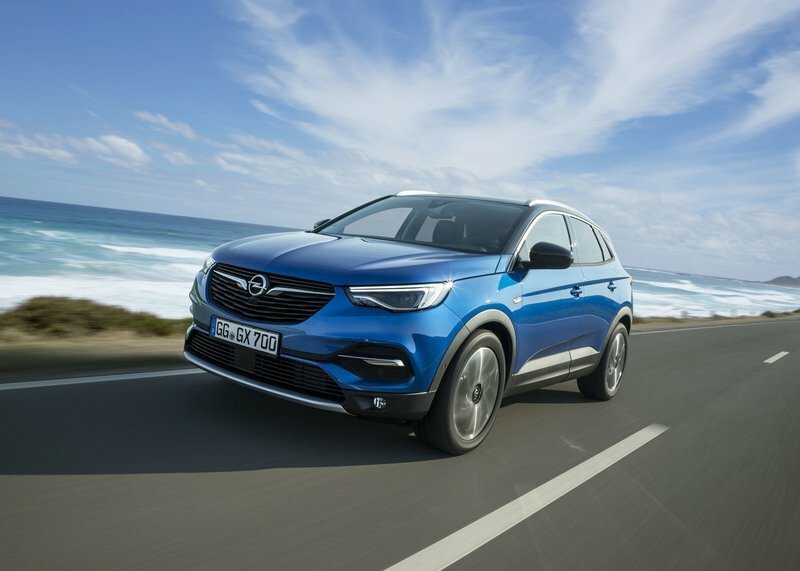 The cool, dynamic design of Opel’s new compact SUV makes it a real eye-catcher – even more so with the optional two-color finish with contrasting black roof. The Grandland X drives as dynamically as it looks and offers one thing above all: safe driving fun all year round and on every surface. This is also thanks to the optional electronic IntelliGrip traction that ensures top road grip in diverse driving situations. The driver has a choice of five driving modes. The system then adapts the torque distribution to the front wheels, allows wheel-spin if necessary, and with the automatic transmission adjusts shift points as well as throttle response. This ensures best traction and stable handling regardless of whether the Grandland X is travelling on snow, mud, sand or wet surfaces. 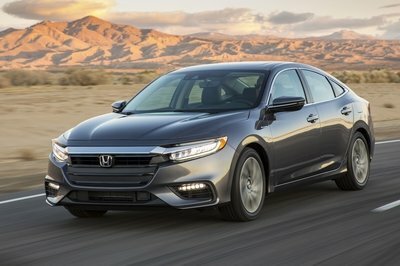 The Grandland X also features a first-class portfolio of ultra-modern assistance systems that make traveling more relaxing: Forward Collision Warning with Automatic Emergency Braking and pedestrian detection, Driver Drowsiness Alert, Advanced Park Assist and the 360° Camera are just some highlights. 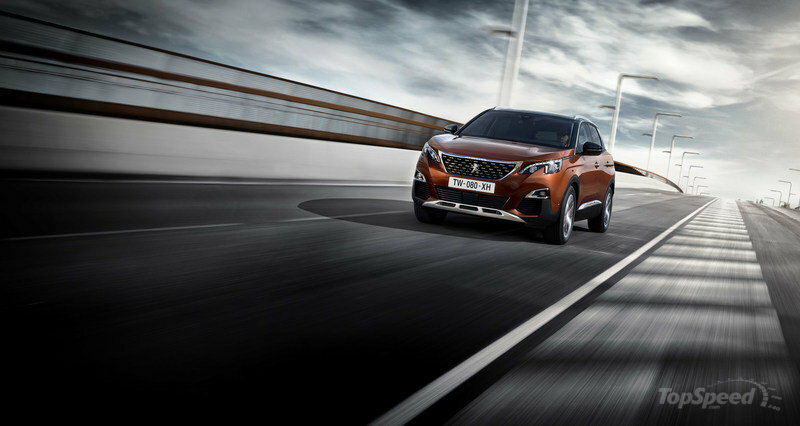 Optional systems such as Adaptive Cruise Control with stop function, which maintains the speed and selected distance to the vehicle ahead and brakes to a full stop or accelerates the Grandland X when required, increase safety even further. Opel again delivers on its commitment to leadership in lighting technology, equipping the Grandland X with bright driving light thanks to Adaptive Forward Lighting (AFL) LED headlamps upon request. Functions such as cornering light, high beam assist and auto levelling guarantee optimal illumination of the road ahead in all situations. 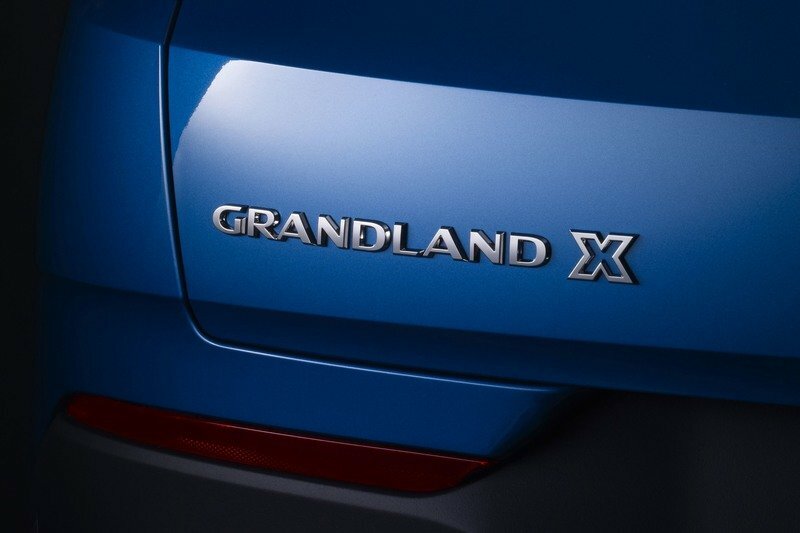 In addition to the optional electronic IntelliGrip traction and many driver assistance systems, the lively engines also contribute to driving fun with the Grandland X. Initially two engines that boast excellent CO2 emissions are available – a real plus for tax savings and economic efficiency. Both engines can be combined with a modern six-speed manual or friction-optimized six-speed automatic transmission and come with Start/Stop as standard. •	The 1.2 all-aluminum Turbo gasoline direct injection engine delivers 96 kW/130 hp and maximum torque of 230 Nm from 1,750 rpm (NEDC fuel consumption: urban 6.4-6.0 l/100 km, extra-urban 4.9-4.5 l/100 km, combined 5.5-5.1 l/100 km, 127-117 g/km CO2). •	The 1.6-liter diesel with 88 kW/120 hp provides maximum torque of 300 Nm from 1,750 rpm (NEDC fuel consumption: urban 5.1-4.7 l/100 km, extra-urban 4.2-3.5 l/100 km, combined 4.6-4.0 l/100 km, 118-104 g/km CO2). 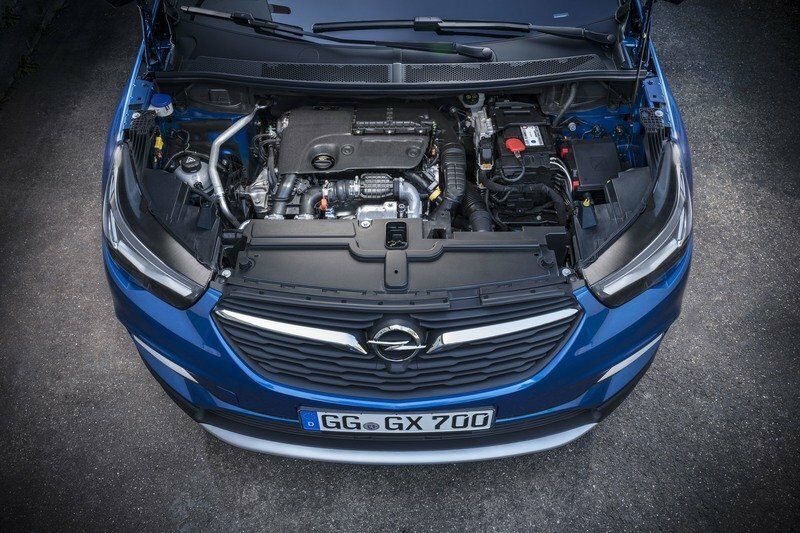 •	For customers looking for even more power, Opel will be expanding the Grandland X powertrain portfolio in the near future, also with a top diesel. •	In addition, a new eight-speed automatic transmission will enhance the portfolio. In addition to the lively driving performance, the elegant styling, high-grade and comfortable interior as well as comprehensive infotainment technology all contribute to the feel-good atmosphere. 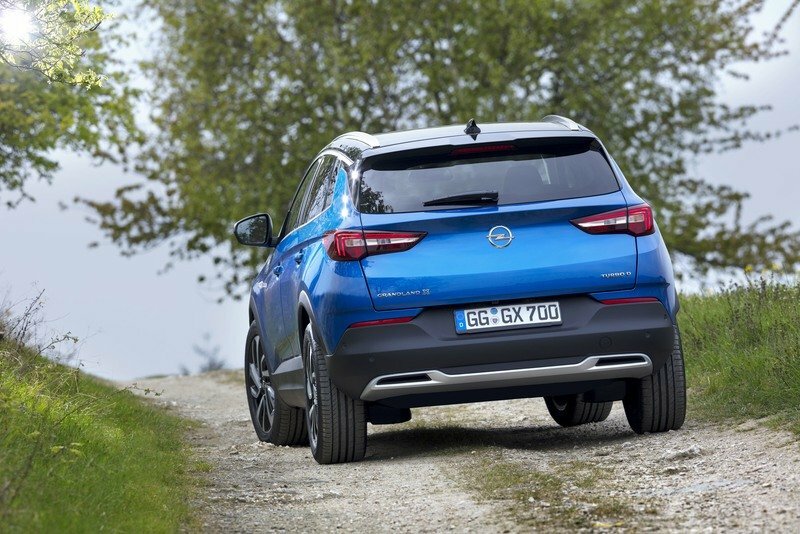 At 4,477 millimeters long, 1,856 millimeters wide (without door mirrors) and 1,609 millimeters high, the new Opel Grandland X is a cool, robust SUV from every perspective of its sporty presence. In the front above the skidplate the bold grille proudly displays the Opel Blitz. The chrome winglets embrace the brand logo and flow outwards to the slim, double-wing LED headlamps, optically widening the front and giving the Grandland X a powerful, solid stance. The hood features the signature Opel crease – an expression of the Opel design philosophy ‘Sculptural Artistry meets German Precision’. Its side views echo the attractive combination of rugged SUV appeal and elegant lines. Muscular, sculpted wheel arches and protective cladding on the lower body give the Grandland X real off-road appeal. In contrast, clear lines and the refined blade on the lower doors identify the new Grandland X as a member of the Opel family. Optional two-tone finish with the roof in contrasting black adds an extra touch of personalization. Its smooth flow into the rest of the body is emphasized by the “breakthrough” C pillar, which also creates a dynamic bond to the rear. 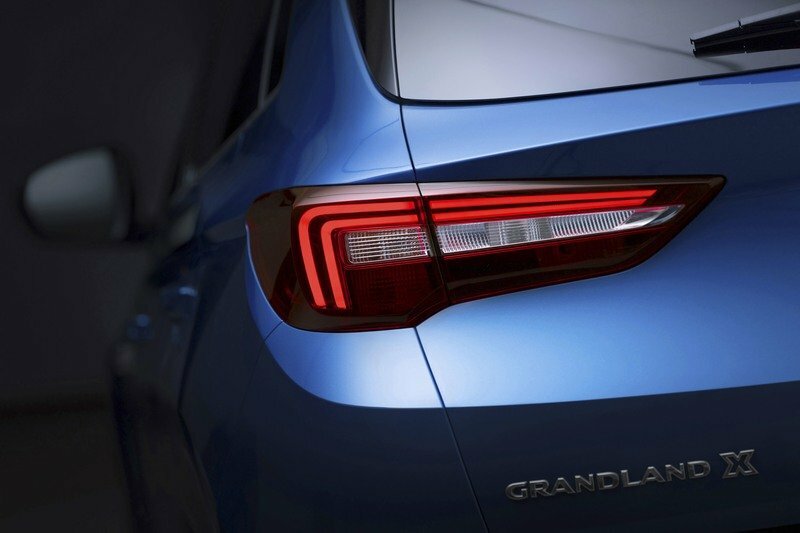 The rear view of the Grandland X shows down to the smallest detail what real SUV design means: wide stance, silver underride protection with integrated tailpipes on the left and right, and above that protective cladding and slim LED taillights underline the newcomer’s sporty, muscular character. The high quality continues in the interior: the instrument panel and center stack with touchscreen are clearly laid out and horizontally aligned to the driver. The center stack has three horizontal rows of controls for fast and intuitive access to infotainment, climate control and chassis functions. The interior surfaces have a high-quality look and feel, giving the driver and passengers a feeling of well-being and comfort in all seats. They benefit from the SUV-typical elevated seating position that facilitates ingress/egress and ensures good visibility. The optional panorama glass sunroof floods the interior with light and provides excellent skyward visibility. Typical first-class Opel comfort is ensured by the optional AGR (Campaign for Healthier Backs) certified ergonomic seats as well as a heated steering wheel and seat heating front and rear. The long wheelbase of 2,675 millimeters adds to the airy interior feeling and ensures that up to five people enjoy generous space in the compact class SUV. 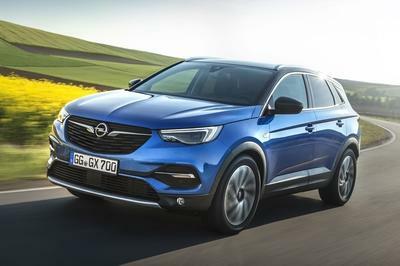 And with a load volume of 514 to 1,652 liters for luggage and sport equipment, the new Opel SUV is even on a par with extremely spacious compact class station wagons. 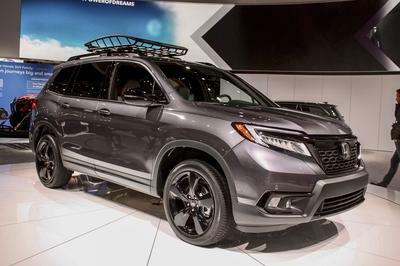 Depending on trim variant, access to the luggage compartment is very easy and comfortable with the sensor-controlled tailgate that opens and closes automatically with a simple kicking movement. In typical Opel fashion, Grandland X drivers and passengers enjoy top connectivity with the latest generation of Android Auto and Apple CarPlay compatible IntelliLink systems as well as the personal connectivity and service assistant Opel OnStar including Wi-Fi Hotspot and new services such as booking hotel rooms and searching for parking . Smartphones can even be charged wirelessly via inductive charging. For music fans who want to enjoy a top sound experience, a Denon premium sound system with eight loudspeakers and subwoofer is available.